Colby A. Sanford grew up in a humble and unconventional home. He was encouraged to paint on the walls of his room, taught how to fix vintage cars, and didn’t have a bedtime. 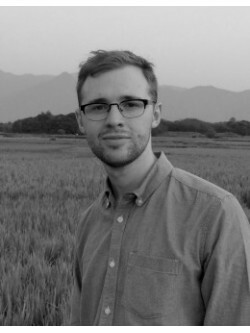 Colby recently spent 4 years in Far East Asia, and is currently working on a BFA at Brigham Young University. Colby’s most precious moments are spent at home (cooking, woodworking, sewing, adventure planning, orange juice tasting) with his wife and little babe. "I strive to recognize truths that ring for me, truths that reach deep. As I respond to the ringings with creative expression, and most often, through a paintbrush, I discover who I am, and who we all are, at our core."